The 2019 African Women's Cup of Nations has been thrown into chaos after Kenya went to the Court of Arbitration for Sport (CAS) over the last-minute decision to remove them from the competition with ten days left. The Football Kenya Federation (FKF) has asked the Confederation of African Foootball (CAF) to suspend the start of the tournament until the Swiss-based court determines the matter. Kenya has been angered by the decision to reinstated Equatorial Guinea to the upcoming tournament in Ghana after an appeal. Two-time winners Equatorial Guinea were cleared on Wednesday to replace Kenya at the finals that begin on 17 November. Kenya were awarded a place in the finals in October when the CAF Disciplinary Committee ruled Equatorial Guinea had fielded an ineligible player in qualifying. But Caf's Appeal Board ruled on Wednesday that: "The player Annette Jacky Messomo is eligible to play for the national team of Equatorial Guinea." The decision means CAF had no option than to reinstate Equatorial Guinea to the upcoming tournament following the successful appeal. This has led the FKF to go to the Swiss-based sports court for the final determination of the matter, in line with the rules of FIFA and CAF. 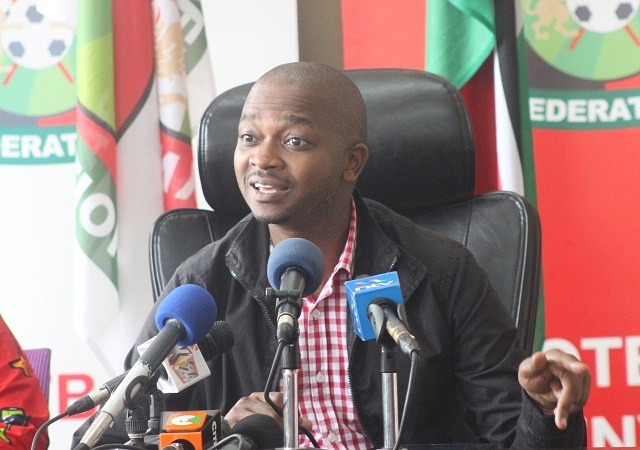 "In light of the recent development and in the spirit of fair play we have been left with no option but to seek redress as per the statutes of CAF and FIFA, with the sole aim of promoting fairness and integrity of the sport," the FKF said in a statement on Thursday morning. "Consequently, we have written to CAF expressing our displeasure with November 7, 2018, ruling and initiated an appeal process at the Court of Arbitration for Sport (CAS), with a view to having Kenya included in the tournament and/or stopping the same from commencing until the matter is heard and resolved." In the original ruling from Caf had upheld a protest from the Football Kenya Federation over the eligibility of Messomo. The decision at the time was that: "The player in question was allegedly of Cameroonian nationality and had played for several European based clubs." Equatorial Guinea will be in Group B for the finals and will begin against Zambia on 18 November before facing South Africa and defending champions Nigeria.